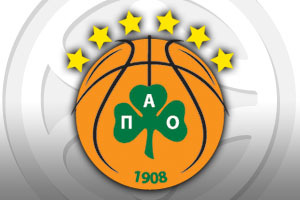 Spread Pick: Panathinaikos with handicap +12.5 at 1.90 Over/Under: Over 158.5 1.90 Bet Now! This is a match between two of the biggest teams in European basketball and top spot in Group E will be on the line in this game. There are a number of big name players and young hopefuls in the squads of both teams, so if you are looking for a match that catches the attention, all eyes should be turning towards Madrid for this game. There is no doubt that players like Dimitris Diamantidis, AJ Slaughter and DeMarcus Nelson have been big players for the Greens but Real Madrid have plenty of big players in this team too. When you have the Euroleague MVP in your side, Sergio Rodriguez, you have players that can turn a losing position into a win in a matter of seconds. Panathiniakos have three ex Madrid players in their squad, Antonis Fotsis, Esteban Batista and Nikos Pappas, and you can bet that all of these players will be going all out to get one over their former team. The Spanish giants have an 11-2 record in the Euroleague this season, which includes a 3-0 record in the Top 16. The team has scored an average of 86.5 points per game in the Euroleague this season and Felipe Reyes is a key man for the Madrid side. The Spanish forward has grabbed an average of 10.9 points per game this campaign while he has also provided an average of 6.1 rebounds per game. He has been assisted by a Greek forward, Ioannis Bourousis, who will be keen to do some damage against the team from Greece tonight. Bourousis has averaged 7.3 points per game this season while also offering up an average of 4.8 rebounds per game. Sergio Llull has provided an average of 10.5 points per game while also providing an average of 5.3 assists per game. Domestically, Real Madrid are as strong as you would expect. They are in second place in their league, with a 13-4 record, and their last game was a 66-83 win away to La Bruixa d’Or. 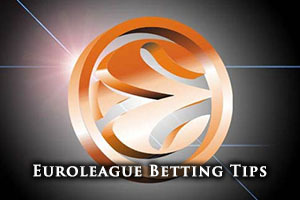 The Greek side hold a 7-6 record in the Euroleague this campaign, which includes a 2-1 record in the Top 16. The Greek side has averaged 77.2 points per game in the Euroleague with American guard AJ Slaughter grabbing an average of 12.3 points per game. US forward James Gist has been an able assistant, offering up an average of 9.1 points per game and an average of 5.1 rebounds per game. Esteban Batista, the Uruguayan center, has also been in fine form this campaign, providing an average of 10.7 points per game and an average of 5.8 rebounds per game. Panathinaikos are sitting in second place in their domestic league, with an 11-2 record, and in their last game, they grabbed a good away win against Apollon Patras, eventually winning 71-77. While you would expect Real Madrid to see this one and create a 4-0 record at the top of Group E, the handicap bet offers better value. Taking Panathinaikos with a handicap of +12.5, at odds of 1.90, is likely to be the bet that keeps this game open until the end, and should see you get a favourable return. When it comes to the Over/Under bet, going Over 158.5 is likely to be a sensible option. Both of these bets are available from Bet365 and if you are looking to watch Real Madrid v Panathinaikos live on Thursday the 22nd of January, we can help you out. Bet Now!